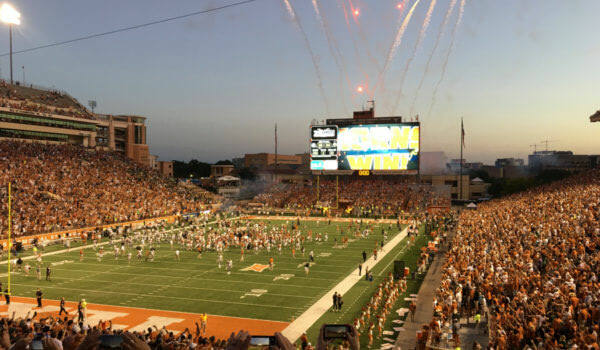 Big House Sound (BHS), a company that installs high-end sound systems for large events, was upgrading the Darrell K Royal-Texas Memorial Stadium for the new football season. To reach every fan in the 430,118 square-foot stadium, they created a world class sound system. 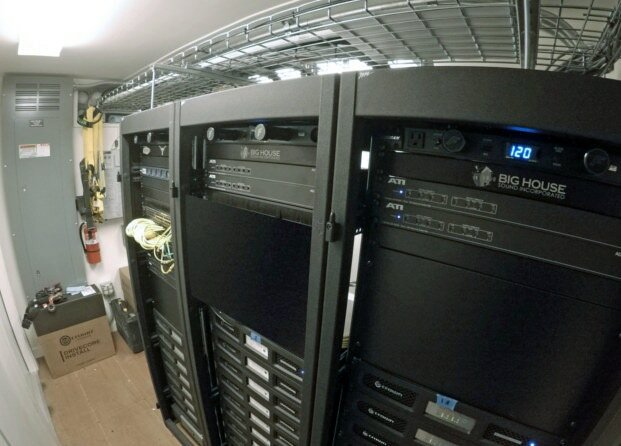 When they needed an equipment enclosure for amplifiers and other audio equipment, fast, BHS reached out to Falcon. As BHS’ speakers announce touch downs, amplifiers, and digital signal processors are hard at work, producing an enormous amount of heat that can interfere with the equipment’s performance. BHS needed a prefabricated equipment shelter that could protect their audio equipment while keeping it cool. The prefabricated shelter needed to be delivered withing a week. 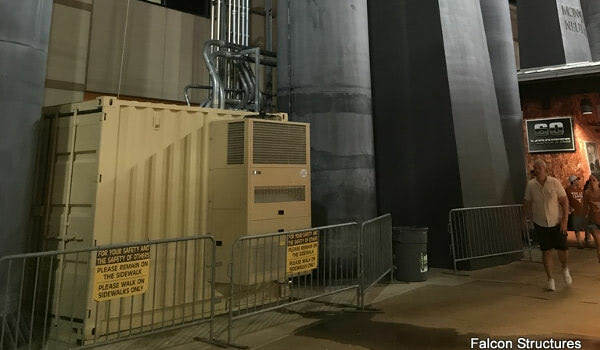 In addition to fitting a restricted footprint at the stadium, BHS also needed the shelter to hold two heavy-duty air-conditioners. Falcon provided expedited service to accommodate BHS's timeline. After agreeing to take on the project on a Friday, Falcon had the containers loaded on the trucks for delivery the following Thursday. It was a record turnaround time. “Now that we know shipping containers are available, we’d absolutely use them for any outdoor or portable enclosure. It’s cost effective and robust. Falcon’s customizations made installation a smooth and easy process,” said Zach Richards, Big House Sound’s installation director. First, we cut a 20-foot container down to an 11-foot container to get just the right size. Falcon then worked closely with BHS to cut and frame openings for the air conditioners and wiring exactly to the required specs. To power the audio equipment and the air-conditioners, conduit with thick, high-current wiring needed to fit snugly through pass-through openings. Steel framing to support heavy duty air-conditioners. Custom conduit and utility pass-throughs. A personnel door for easy access. Welded shut cargo doors for added security. Have questions about containerizing your equipment enclosure? Contact us at 877-704-0177 or email sales@falconstructures.com.